A soldier (who is also the narrator) sees an old man resting on the side of a road near a pontoon bridge. Other civilians are crossing this bridge, but the old man is too tired to proceed any further. The soldier tries to encourage the old man to move a little farther along, for he knows the bridge is likely to be bombed. The old man, however, is simply too exhausted to proceed. 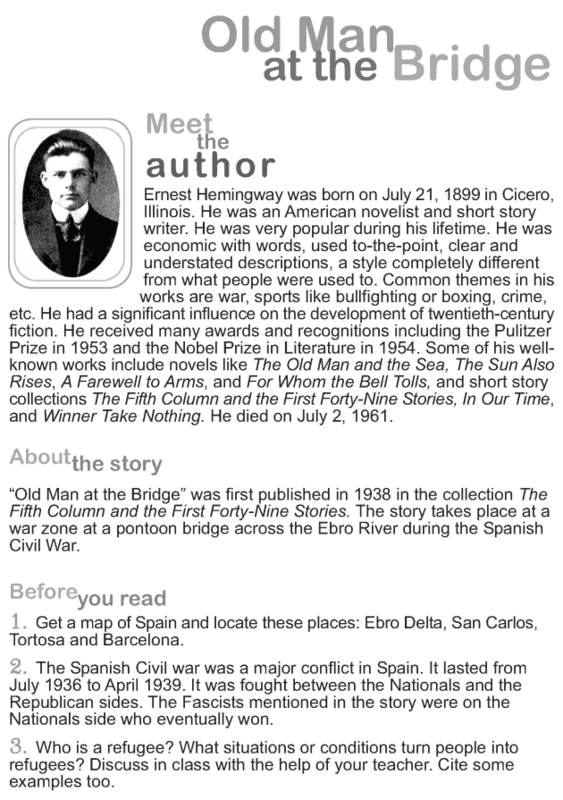 Read what happens in this story by Ernest Hemingway ahead.